No, it’s not what you are thinking, Egg salad with jerky! We have around 30 chickens on our little farm. If you didn’t know, they mostly stop laying during the winter months. In the Spring, they start back up. So, for South Texas that was about a month ago! What this means is that we get around 20 eggs per day. It is always Jerkyman’s goal to eat a dozen per day but that doesn’t happen too often. We end up with six or seven dozen eggs at any one time in our fridge! So, we find unique ways to use them and this is a recipe Jerkyman makes on a regular basis! If you have not figured out by now, anything I share is going to be quick and simple! Jerkyman is the better cook in the house! That’s a big win for me!! We all like boiled eggs and so he will make a version of this almost every time I boil them. Every year our family gets together for Easter, and every year I have the best intentions of making a beautiful tray of deviled eggs. As I mentioned before though, Jerkyman is the better cook and I typically don’t have the patience to peel the eggs slowly enough to keep them from looking like some sort of rock formation. So, the Deviled Egg Salad is the perfectly delicious, less manicured choice. This has a kick of heat in the mayo I use and with the cayenne, if you like! 3. Once the eggs and water have cooled to room temperature place them in a separate container and refrigerate overnight. 3.Mix chipotle mayo, relish, seasoning salt, pepper, salt, into chopped eggs. 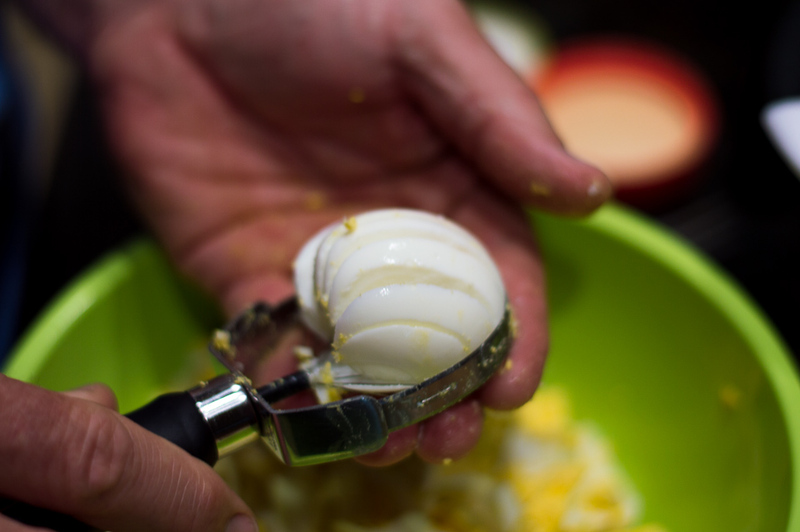 4.Gently fold ingredients into eggs. 6.Serve with chips, pretzels, veggies sticks, for a snack. 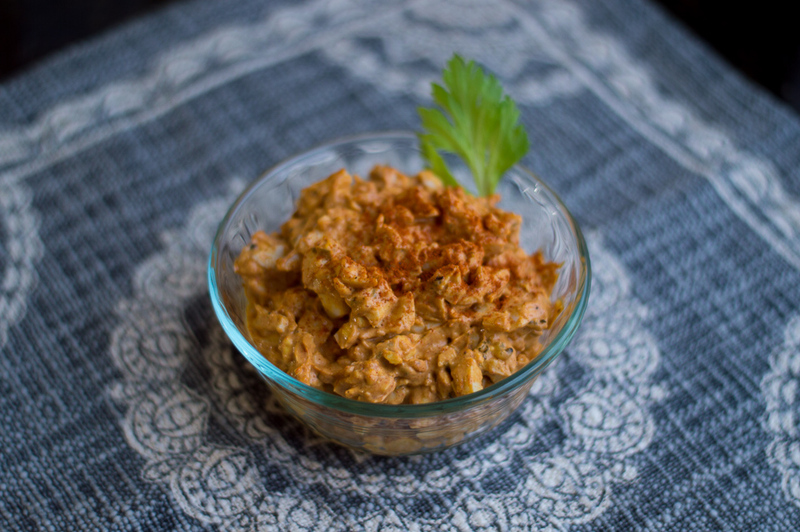 As always, Deviled Egg Salad is also great for sandwiches or wraps. 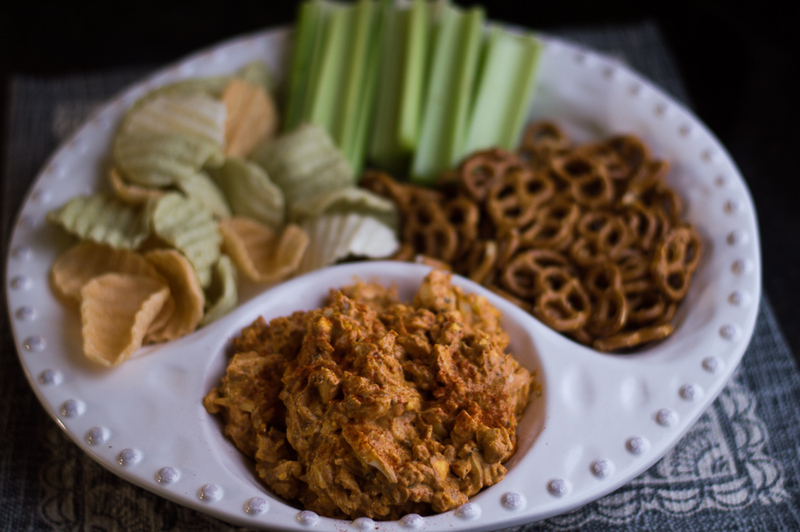 The great thing about this one is that you can adjust it to pretty much whatever you have in your pantry, so it’s a great, last minute option for a family get-together or anytime snack.